Time-tested for many years, the STIS allows the tire pressure to be adjusted when the vehicle is stationary. The STIS is based on a permanently fixed quick coupling system; it is connected with the vehicle’s pneumatic brake system or with one of our powerful AIR SUPPLY compressor systems so the tire pressure can be adjusted anytime and anywhere. 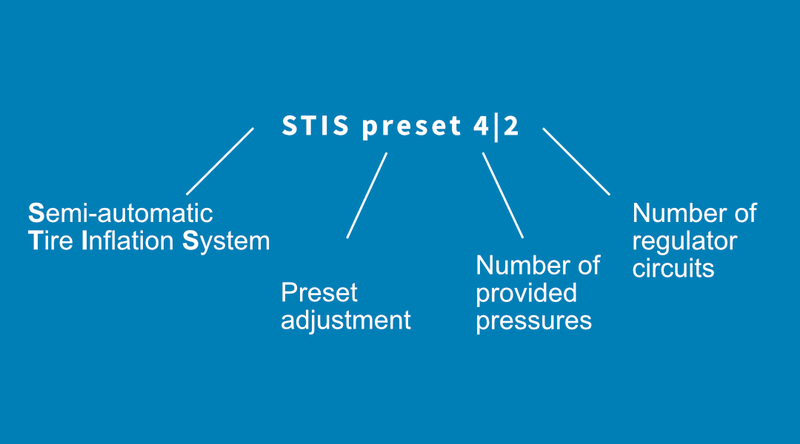 The user can adjust any required pressure (STIS stageless) or alternatively select between up to 8 preset tire pressures (STIS preset 4|2). The purely pneumatic control unit guarantees trouble-free operation even in the harshest conditions. After connecting the spiral hoses, the system operates autonomously, without the need for the driver to monitor the process. 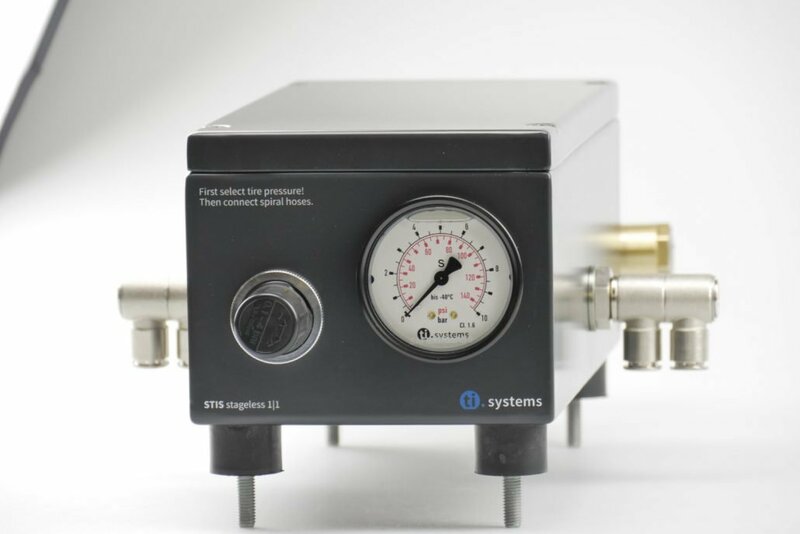 The system automatically cuts out when the correct pressure is reached. Leading manufacturers such as Mercedes Benz and MAN have been offering the STIS factory-fitted in their new vehicles for many years now. Retrofitting is simple and can be done by any workshop or by the buyer himself. The STIS works fast, is precise and easy to handle. Our patented tire valve makes it quick and easy to adjust the tire pressure of your vehicle using our tire inflation systems. With a greater section width, the tire can be inflated and deflated up to 8 times faster. Easy to use thanks to quick coupling system! Adjust the pressure in connected tires—all at once! Simultaneous pressure adjustment significantly reduces the inflation and deflation time. 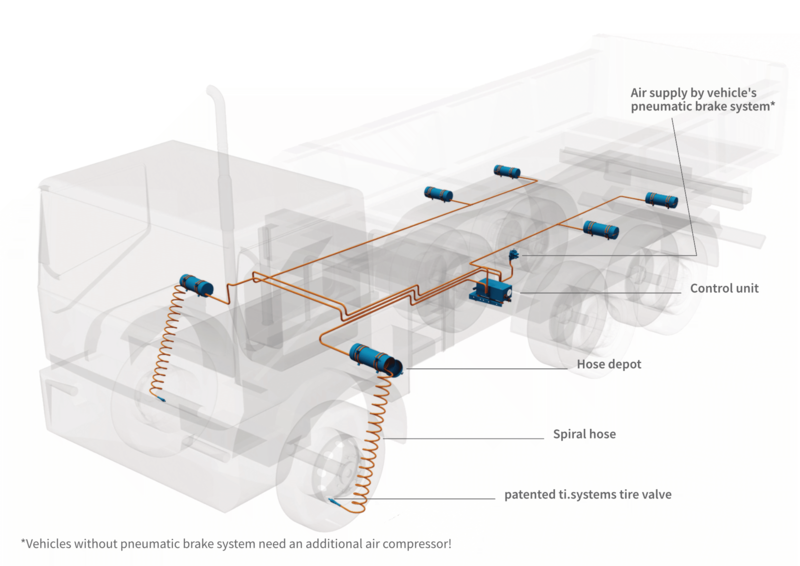 Optionally, the system allows different pressure settings for front and back axles. 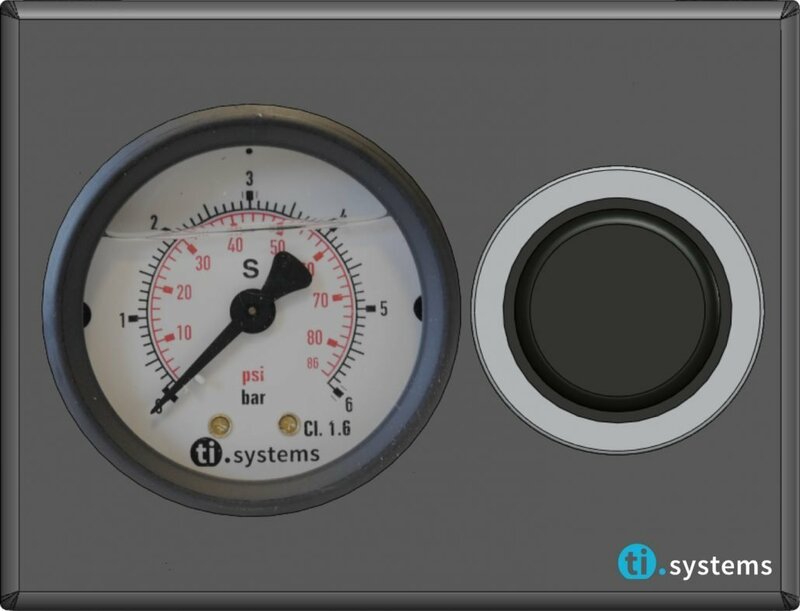 ti.system tire inflation systems are purely pneumatic units with no electric or electronic components. As well as making them hard-wearing, they therefore require virtually no maintenance. What’s more, vehicles are easy to retrofit at affordable cost, without having to go through electromagnetic compatibility testing all over again. We offer different kinds of control units and operating units for adjusting the tire pressure. All of our boxes are manufactured using high-quality 3mm sheet steel and coated in colour shade RAL 7021 KTL*. Hence, the inner components are optimally protected from mediums entering as well as from weather conditions. We differentiate between control units and operating units. 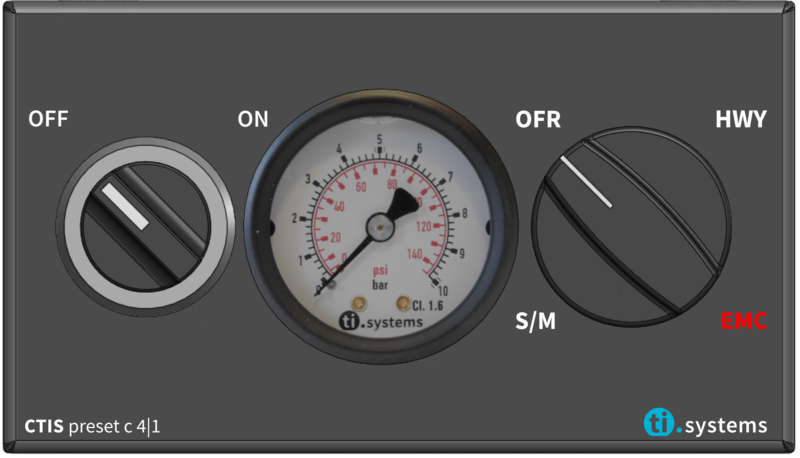 The control units include control dials, manometers damped with silicone oil as well as a main regulation valve. In contrast, when talking about our operating unit, the main regulation valve is installed externally as a main regulation unit. The naming of the different systems results from their unique mode of operation as shown below. 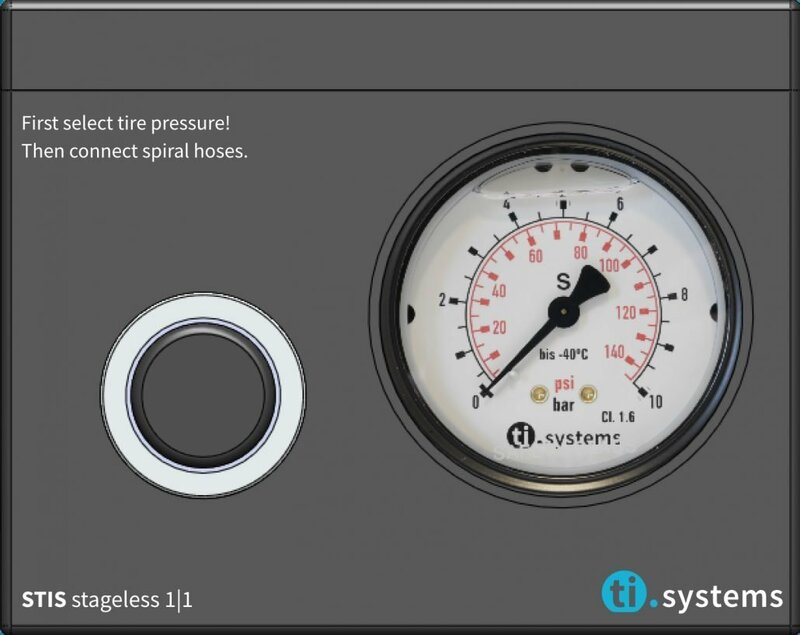 Such a system allows the user to select one tire pressure value which is then adjusted in all connected tires simultaneously. 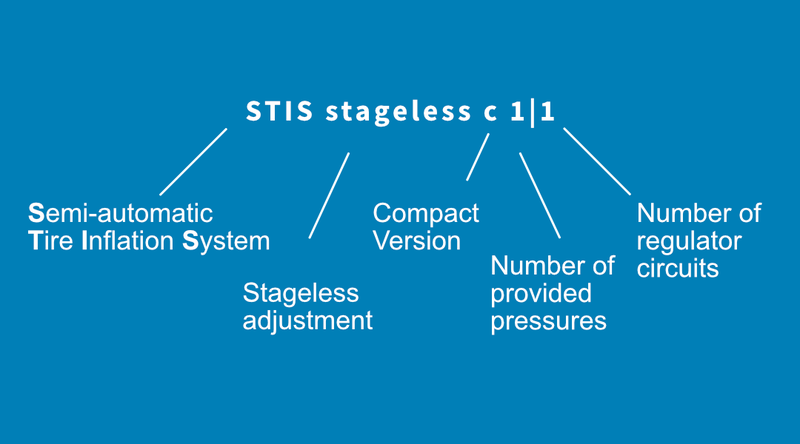 The STIS stageless 1|1 allows simultaneous inflation or deflation of tires within a range of 0–10 bar using a rotary knob. A control unit simultaneously adjusts all connected tires to the required pressure, with the system automatically cutting out when the correct pressure is reached. The gauge always shows the current pressure of the connected tires. The STIS stageless c 1|1 is identical to the STIS stageless 1|1 in all aspects except size. More compact in design, the control box of this unit is ideal for smaller vehicles with limited space. Specially designed for trailers, this unit allows for precise pressure adjustment, and with a second control system significantly reduces the deflation time. With this kind of system the user can select two different tire pressure values for the front- and rear axle(s) simultaneously, selecting one out of four preset pressures per regulator circuit. 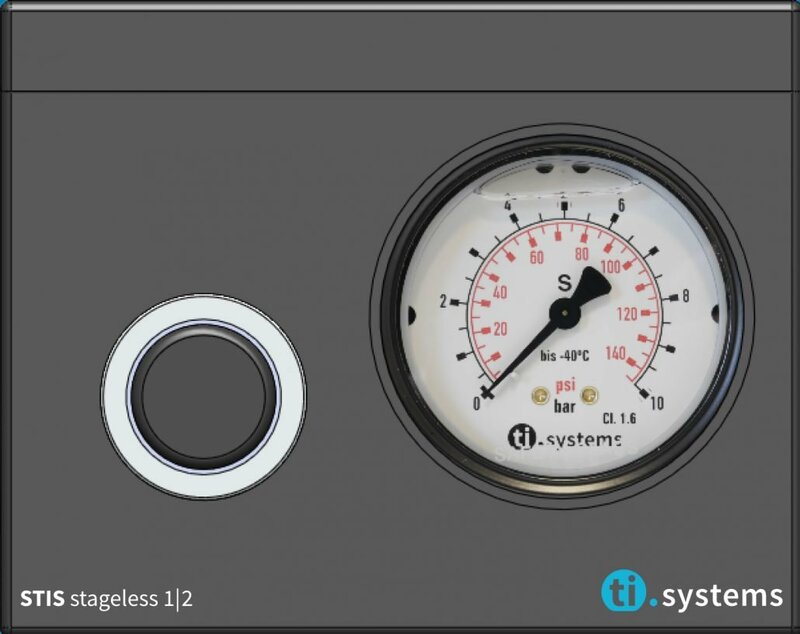 This system enables the user to preset four tire pressures. Using a rotary switch, the required setting can then be conveniently selected to automatically adjust the pressure in all connected tires at the same time. With up to eight preset tire pressures, this system allows different pressure settings by axle. Simply select the appropriate settings to simultaneously adjust the pressure in the front and the rear axle tires as required. Our hose depots come in two different sizes: 75mm and 125mm. The depot tubes and stamped caps are manufactured using high-grade, weather-proof and UV-resistant plastics. The smaller depots are fitted with either steel cables and steel carabiners or with an elastic cord and plastic carabiners. The choice of materials used significantly accounts for the longevity and robustness of our depots. 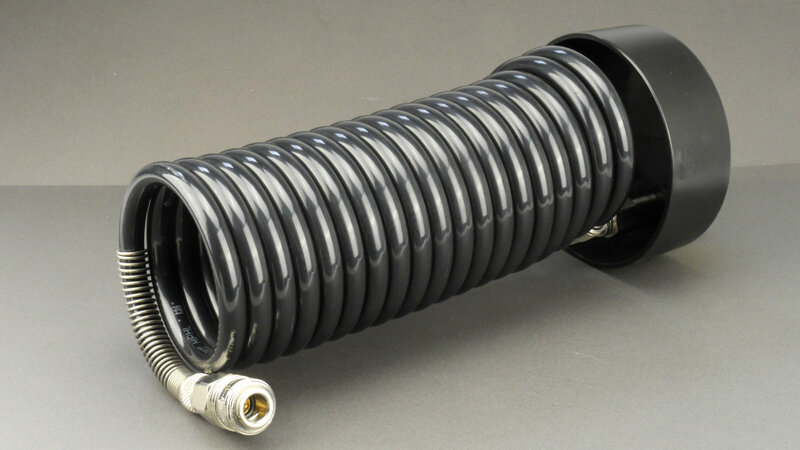 Moreover, we use high-grade spiral hoses made of polyamide. This allows for long lasting operation without losing elasticity and internal stress. 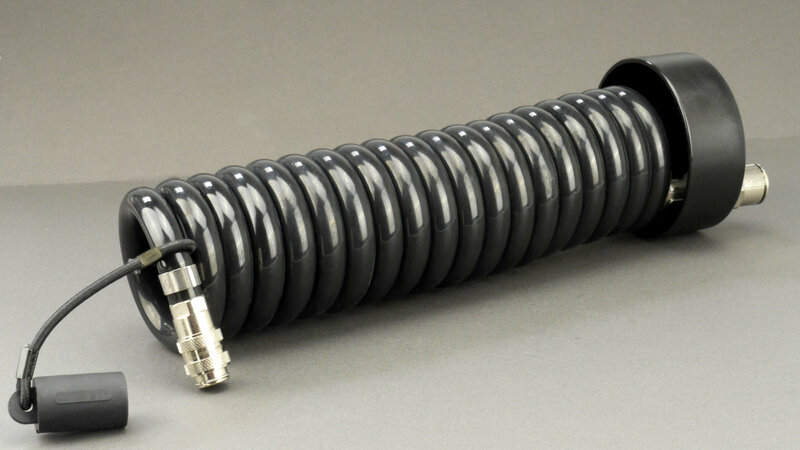 Depending on the vehicle different extension lengths of the spiral hoses are available. 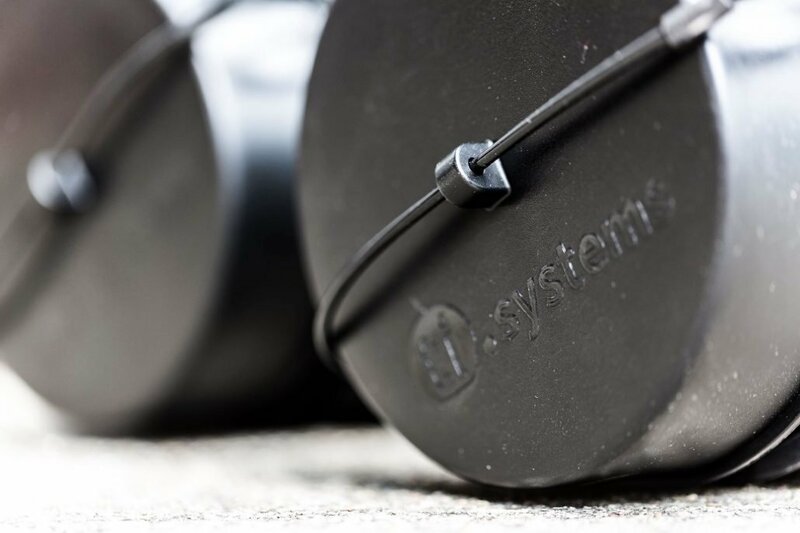 The spiral hoses are equipped with custom built plug-in couplings which allow for simple connection to our patented ti.systems tire valve. The couplings are available in different sizes, depending on depot and tire size. The hose depots having a diameter of 75mm are available in two different lengths and different hose extension lengths, accordingly. All depots of this size are equipped with size S21 plug-in couplings. The hose depots with a diameter of 125mm are available in two different lengths and different hose extension lengths, accordingly. The NG125 depots are equipped with plug-in couplings of size S26. Our patented screw-on tire valves can be installed onto any generic tire valve size. Thanks to the substantially bigger airflow rate, the tire pressure can be adjusted up to 8 times faster compared to using conventional tire valves. 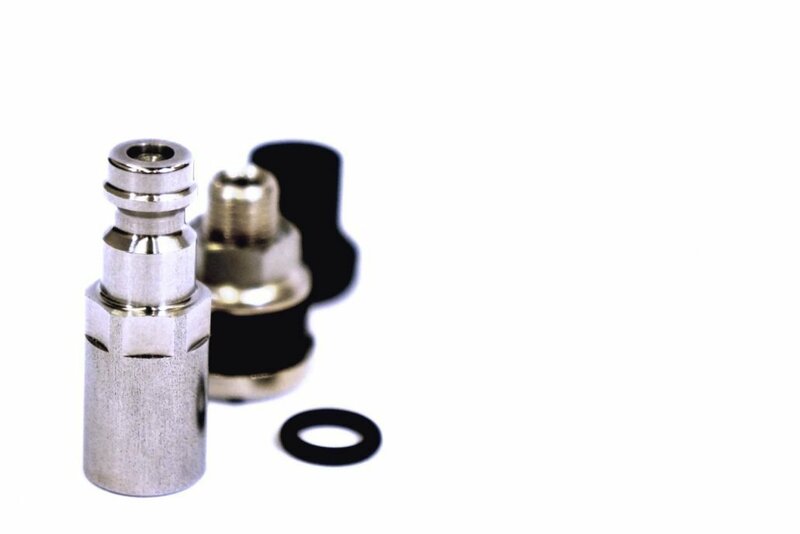 The valves come together with seal kits consisting of groove nuts and O-rings. Additionally, protection caps are included, which protect the tire valve from dust and dirt, as well as a gas station adapter that can be used for a tire change, for example. The tire valves are available in two different sizes suitable for our different hose depots and couplings. 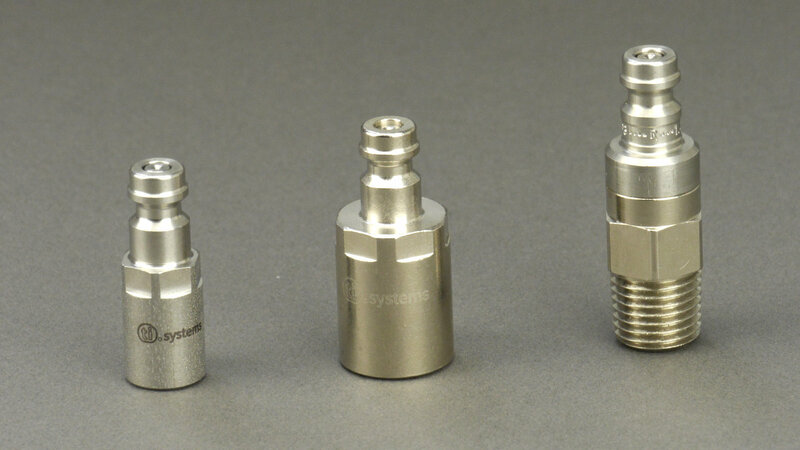 The ti.systems tire valves size S21 are available with 3 different connection threads. 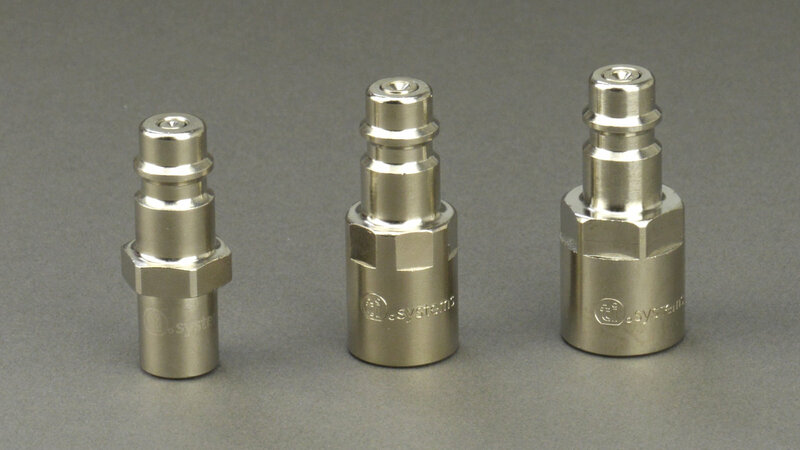 The ti.systems tire valves size S26 are available with 3 different connection threads as well.